Thank you to our first responders for their generous donations and raising awareness to the opioid epidemic! "No Shave, Winter of Giving"
Somerville Police Officers who commit a minimum $100.00 pledge will be entitled to grow facial hair, which is usually prohibited by rules and regulations. "No Shave, Winter of Giving runs through Feb 28th, 2018. We are happy to announce that Somerville Police will donate all money raised to Ryan Harrington Foundation. "Show you care, grow some facial hair"
Somerville Firefighters Department can grow a sick stache during the month of November for a minimum donation of $25. 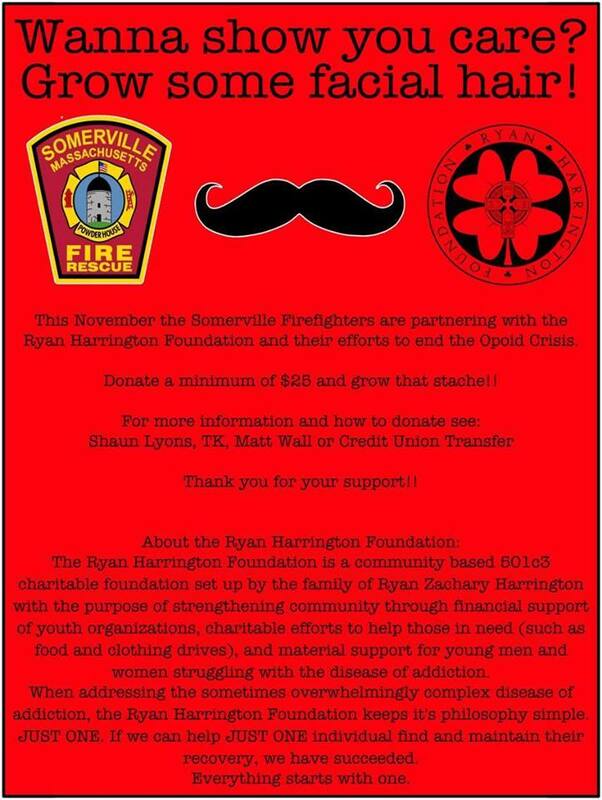 Somerville Fire Department will donate all money raised to Ryan Harrington Foundation.